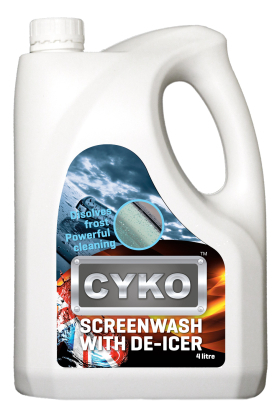 CYKO™ Screenwash with De-Icer mixed for winter use works on the frostiest of days, cutting through the ice and cleaning as it goes. CYKO™ Screenwash with De-Icer is tough on grime and the causes of grime, yet gentle on the environment & completely biodegradable. CYKO™ products are not tested on animals because frankly that would be cruel and CYKO™ is anything but cruel. Besides whoever heard of a rabbit that needs a windscreen wiper!